The Avenue Collectables & Antiques specialise in china porcelain and pottery. An eclectic range of vintage, retro and collectable items. The Palace & Co – Vintage prop hire and wedding stylists. The Record Exchange – Brisbane’s, if not Australia’s largest new and second hand record dealer. Vintage records, cd,s dvd,stapes, vhs, vintage stereo,s vintage Guitars,Autographs,etc. This is one of the very few record stores in the world boasting over 200,000 records. 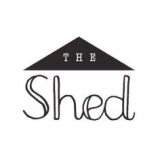 The Shed stocks a wide range of Vintage, Retro and Quality Secondhand Furniture and Household items. Shabby Chic , Industrial pieces, Lamps and even beds!. We offer a quick reliable delivery service and are always buying. 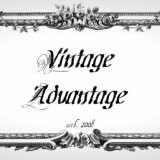 The Vintage Advantage is a treasure trove of vintage & retro clothing, accessories, collectables, glassware and more. A shop full of an eclectic mix of glamour, unusual, interesting and must haves. 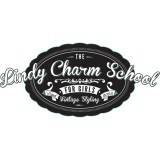 The Vintage Hire Company is a Cairns, North Queensland based boutique Vintage Event Hire & Styling business.